In 1999 the process of transforming what had once been Bankside Powerstation into Tate Modern was well underway. Tate had long since needed more space in which to show its two collections – the national collections of British Art and of Modern Art (here considered to be post-1900) – and the new space was eagerly anticipated. The collections would at last get their own spaces, each museum facing the Thames one from Millbank on the northern bank, the other from Bankside, further east and on the southern bank of the river. 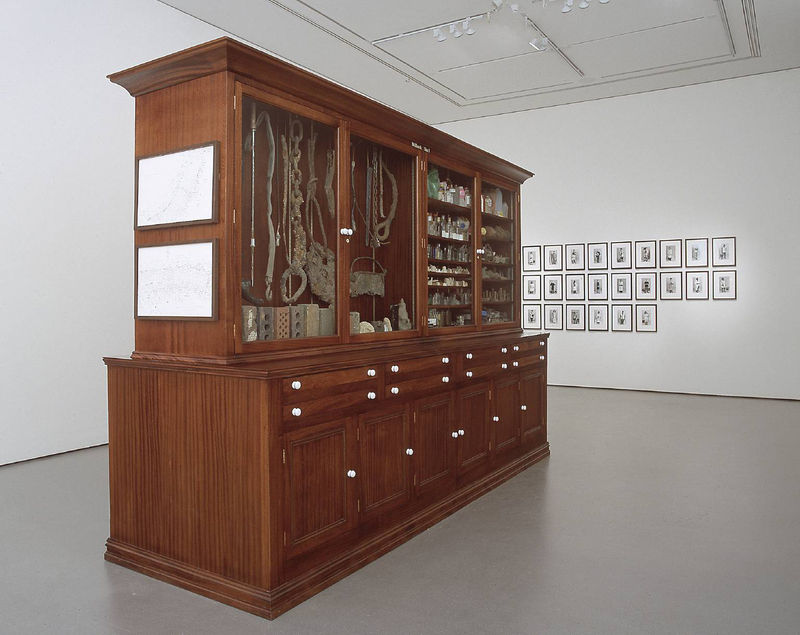 In anticipation of the new space, Mark Dion adopted the role of archaeologist to create the installation Tate Thames Dig, initially shown in the Art Now room at what was then known as the Tate Gallery (now Tate Britain). 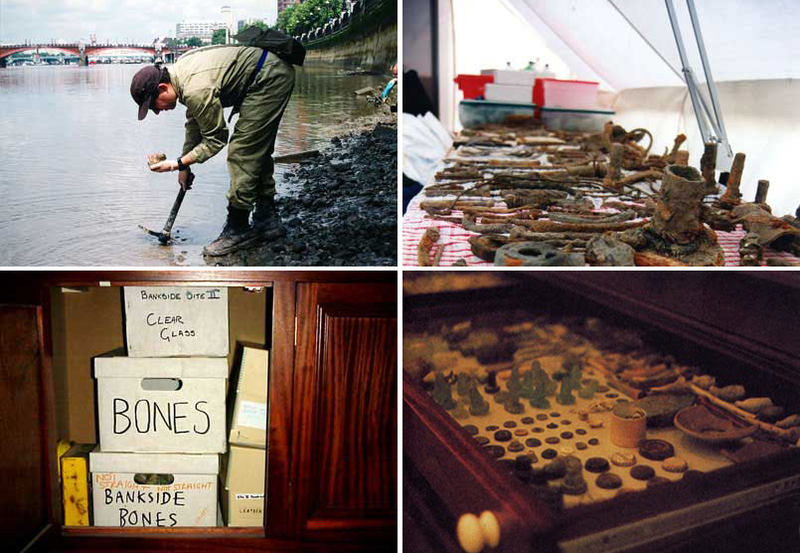 Dion worked with local groups to undertake an archaeological dig on the banks of the river between the two Tate buildings, displaying the unearthed artefacts in a cabinet along with maps showing the locations explored and the river’s tides and photographs of the those who had assisted with the dig. The uncovered artefacts were cleaned, sorted and categorised ready for display. London is a city with a long history and the river has always played a major role in terms of the transportation of goods and people both to and through the city. According the banks of the river are rich with the detritus of that history but with recent history inevitably dominant in terms of the artefacts uncovered during the dig meaning that plastic bottle tops are well represented in Tate Thames Dig, with ancient bones and pottery playing more minor roles. Tate Thames Dig is fascinating both as a picture of a city and in terms of the way in which Dion has chosen to arrange the evidence. The work effectively became a cabinet of curiosities similar to those created in the Renaissance but with rather more discarded plastic waste. Clearly this is a work where artist becomes scientist, or rather one for which an artist re-enacts a scientific process. What makes projects like this one interesting is in part the way in which the artist is able to exercise their freedom from the conventions of the discipline they mimic. As an artist one can make one’s own rules based on whatever assumptions one chooses; furthermore for the artist the assumptions underpinning the project can be random and easily challenged without affecting the validity of the outcome. Art can mimic science, but it does so on its own terms. Like the artist who made it, Tate Thames Dig has made the journey from Millbank to Bankside with the work initially made for what is now Tate Britain since displayed at Tate Modern. Tate Thames Dig – Locker neatly rounds off the project by turning Dion’s clothing and some of the tools and materials he employed into an artwork in their own right. On the floor of the locker, along with Dion’s boots, there are two bins – one from each site – containing things discarded as rubbish. In part, this work is interesting in making the investigator the subject of a fresh investigation. It’s also interesting to see what counts as rubbish in relation to the types of objects given the status of museum artefacts in Tate Thames Dig. 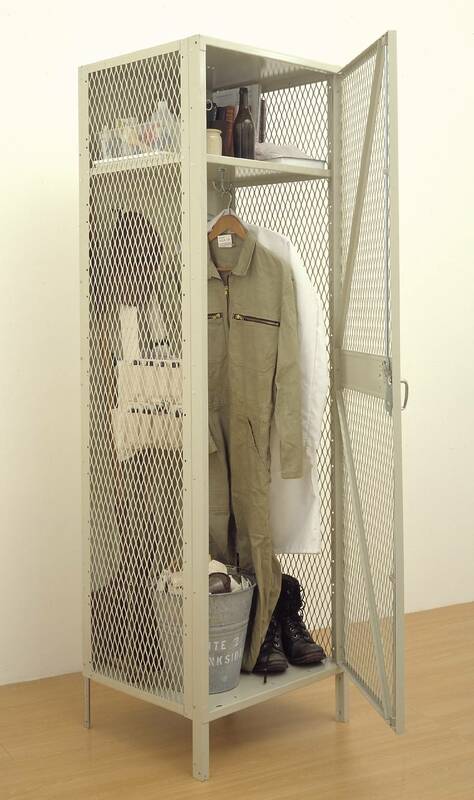 This entry was posted in Installation, Sculpture and tagged archaeology, art, Bankside, installation, Mark Dion, Millbank, sculpture, Tate Britain, Tate Modern, Tate Thames Dig, Tate Thames Dig – Locker by Ann Jones. Bookmark the permalink. How strange – I remember this exhibition well and it has often come to mind. Yesterday I found and bought a secondhand copy of the catalogue! Thank you for reinforcing my interest.